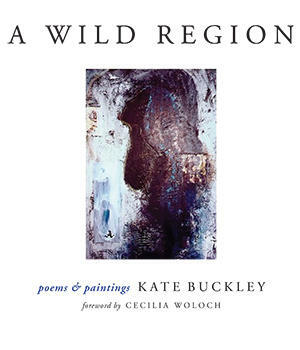 "Kate Buckley's poems are dark prayers and lyrical ballads, infused with mystery and awe... And the stories these poems tell—finely crafted as the poems are—are stories that speak to all of us, accessible and clear for all their complicated depth, 'universal' precisely because they're so deeply personal, and so deeply felt. There is so much stunning language in this collection, so much accuracy and grace, and there are so many images that take my breath away... Kate Buckley shows us how the beautiful and the brutal can not only coexist alongside one another, but exist within one another. Hers is a necessary and welcome new voice." tortoises sleep their green hill dreams. where we no longer want to go. by the creek where you caught crawdads for supper. this, during Prohibition, and a man did what he could. from the share-cropped fields behind the house. I remember the jam, thick and expensive on Wonder Bread. your Cherokee granny's picture glaring from the other room. could not let it fall. the wind would catch it, then let it fall. after we'd gone to bed. lighting every candle in the room. finger the copper curls blazing in the last hour of daylight. We are waiting for release. motes swimming in August sky. until at last we crawl to the shore and sleep.